The delisting of the grizzly bears around Yellowstone National Park plays out a tragedy that the Indian tribes know well. David E. Stannard argues in his new book, “American Holocaust,” that the European and white American destruction of the native peoples of the Americas was the most massive act of genocide in the history of the world. Today we have the ongoing massacre of animals in slaughterhouses and the hunting and trapping of the last of Earth’s wildlife. The agencies charged with protecting our so-called commons, like those supposedly protecting water, air, land and democracy, have long been turned upside down to do the opposite. It is all about money and entrenched power and take. Citizens have never been able to trust state and federal wildlife management agencies, which are funded largely by licenses and fees related to killing wildlife. Citizen activists for wildlife have been pushing against the existing killing businesses for decades, but now the crisis is mass extinction. The 4 percent of mammals left on Earth that are wild need our protection. In 2016, Oglala Sioux Tribe Vice President Tom Poor called for a congressional investigation into the conduct of the U.S. Fish and Wildlife Service in its effort to remove the Yellowstone grizzly bear from Endangered Species protection. It was revealed that USFWS contracted with a former Halliburton executive heading a multinational oil and gas services group for peer review of its delisting rule. Also, the article in Native News Online reports: “Central to Poor Bear’s original complaint are ties between a USFWS grizzly delisting official and trophy hunting juggernaut, Safari Club International. Native Americans care about the great bear. In 2016, they issued a document of intertribal solidarity, only the third of its kind in 150 years. The Grizzly Treaty has been signed by more than 270 tribes, as well as numerous traditional societies and leaders (representing over 700 tribal nations). • Consultation with all impacted tribes: A conclusion supported by the U.N. Special Rapporteur on the Rights of Indigenous Peoples. • Moratorium on killing grizzly bears just delisted. This includes ecotourism benefits to the tribes and all citizens of this country. Montana decided in February against opening a trophy hunt, and Idaho, home to the smallest number of grizzlies, this month approved a fall hunt of a single male bear. 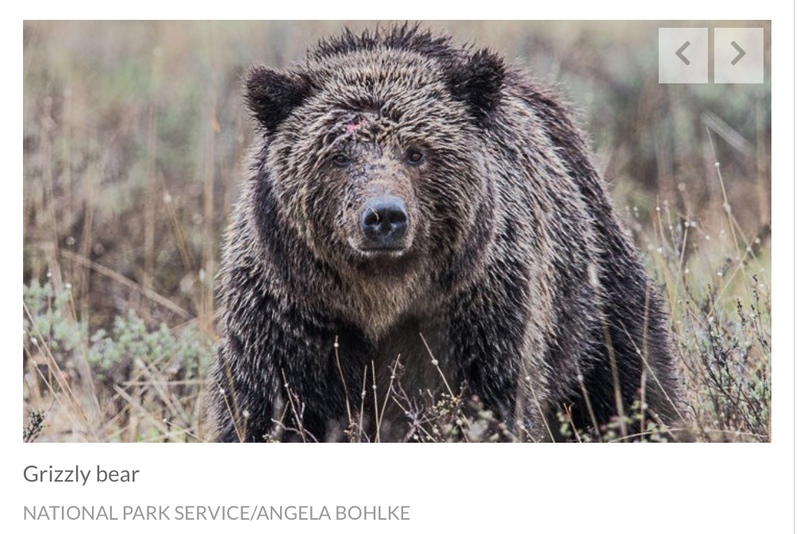 A Wyoming wildlife commission voted unanimously May 30 to approve the state’s first grizzly bear hunt in more than 40 years, to kill as many as 22 bears just one year after Yellowstone-area grizzlies were removed from the Endangered Species List. This column was originally published in the Madison CapTimes on June 17, 2018.